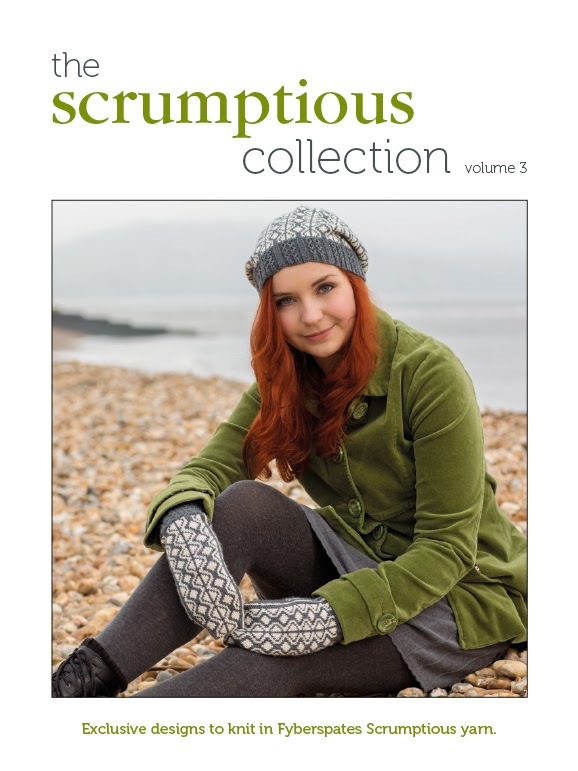 I drew the winner of the draw for a copy of Fyberspates latest book Scrumptious Collection Volume 3, this morning. I actually left the comments open for a couple of extra days. I would say it was because I was being generous to the people who listen to the podcast, but don't read the blog, but in actual fact it was because I was too caught up in the Winter Olympics. It was so exciting yesterday when Team GB got it's first ever medal on snow! Jenny Jones did us proud in the first ever Slopestyle in the Winter Olympics. By the way, have you ever seen Slopestyle - it's amazing! It's like skateboarding tricks on a snowboard, plus flips and spins. A very exciting sport to watch. I can't wait to see the same thing done on skis. Anyway, back to the important stuff. 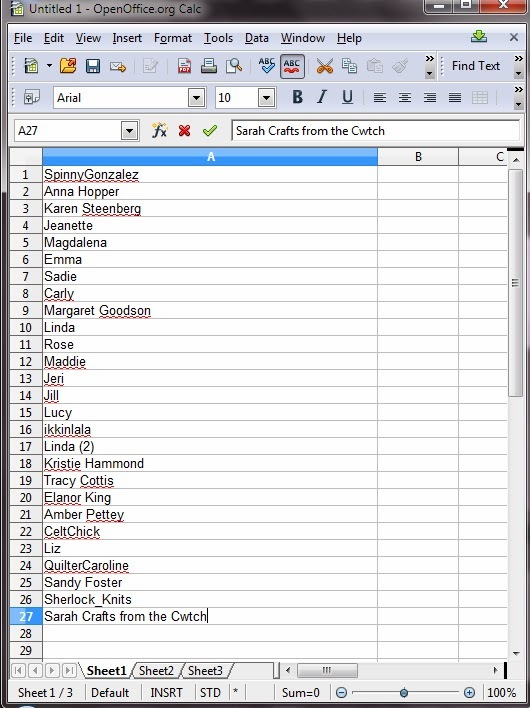 I listed the entries in a spreadsheet in the order they appear in the comments at the bottom of the blog post. 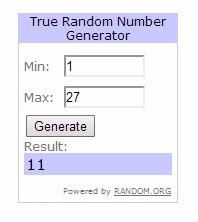 I then used the random number generator at www.random.org to draw between numbers 1 and 27. The winner is number 11, Rose. I've contacted Rose by email and her prize will be sent out as soon as I get a reply. Funnily enough, she wanted to knit the Lerryn Mittens, which I cast on for the Winter Warmer KAL, that we are having over on the Ravelry group. Mine haven't got very far, because the Winter Olympics got in the way. Maybe Rose will get hers finished before mine get done! Thank you everyone for joining in with the contest, it's been fun seeing what other patterns people like. I hope if you didn't win you will consider buying the book. It's excellent value for money at £12.00 for 13 patterns, especially when you consider the quality and appeal of the designs included. Thanks too, to Jeni at Fyberspates for giving me the opportunity to share this lovely prize with my readers and listeners.